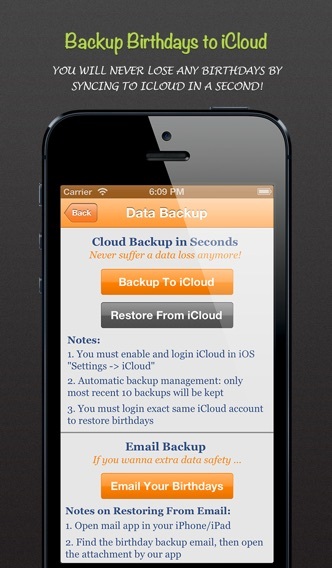 The best, cleanest and most powerful Birthday Calendar / Reminder on the App Store, NOW FREE! Ever wish you had all birthdays in one place? Here's your chance. This app will help you track all those special days in your life. 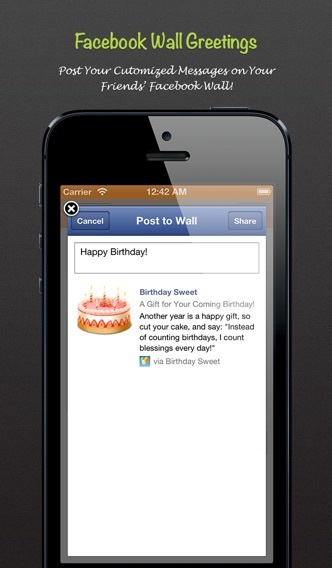 -You can import all your friends’ birthdays from Facebook and from iPhone contacts in seconds! 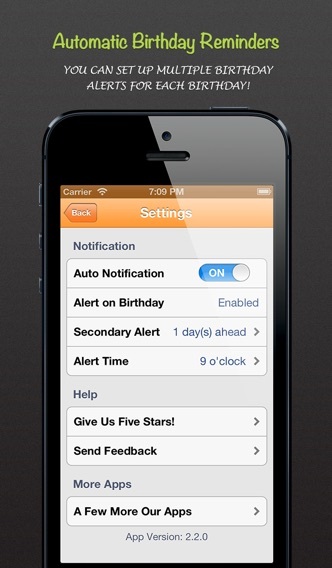 - Easily message your friends and wish them "Happy Birthday" along with custom message with just one click! - It's never been easier to send a happy birthday greeting card: you can personalize and send a beautiful retina-quality eCard in just two clicks! - Post birthday greetings and the stylish birthday cards to your friend’s FB Wall! - Support large data set: you can create and save as many events/days as possible! No performance loss!